This year Berenika and Aris Čipkai donated their mother’s Aleksandra works of art to the M.K. Čiurlionis National Museum of Art. Her works are unique pieces of art from the point of a variety of techniques: the artist painted on ceramic vases and on canvas. In America, A. Čipkienė was engaged in abstract expressionism – all that she needed for her expressive creation was oil-paint, canvas and lively imagination. A. Laucevičiūtė-Čipkienė was born in 1922, April 25 in Kuršėnai. After moving to Kaunas, she studied at the gymnasium and got interested in art, especially in M. K. Čiurlionis’ mystical world, later in A. Samuolis’ and A. Gudaitis' creation. After the war the artist studied fine arts in Freiburg under prof. V. Vizgirda and A. Valeška, attended prof. Galdikas’ watercolour course. A. Laucevičiūtė once wrote: "All of us were then fascinated by the post-impressionist school, luckily, the originals were available to us. At that time, most probably, the greatest sanctity was Picasso, who shockingly surprised us. Here I saw Braque, Van Gogh for the first time“. In 1947, Sandra successfully graduated from the Art School and received a certificate of education signed by V. K. Jonynas. While in Germany she met a very close soul – poet Alfonsas Čipkus (A. Nyka-Niliūnas), got married soon. After moving to America the couple settled in Baltimore. In America, Sandra Čipkienė worked in several private studios and studied under artist Joan Westerman, had art classes at Baltimore Art School – Museum of Art School, later perfected her knowledge at painter Keith Martin’s studio. She was also influenced by one of the most famous expressionist artists Jackson Pollock. A. Laucevičiūtė was appreciated in the world of American women artists. A. Laucevičiūtė-Čipkienė died in 2009, May 29. Her husband poet A. Nyka-Niliūnas dedicated to his wife Sandra the whole creation and in memory of her he published a Diary book 2009-2012. 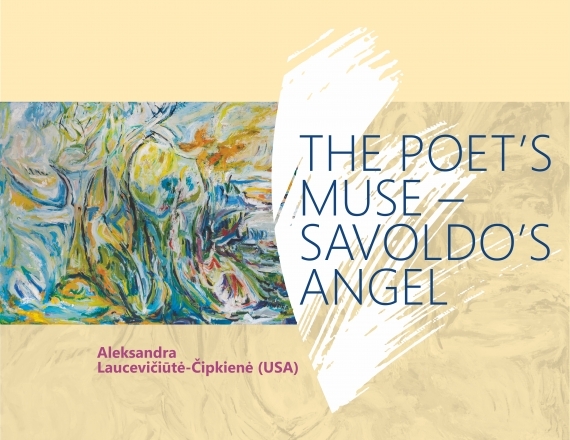 Painter Aleksandra Laucevičiūtė-Čipkienė has held a number of personal and group exhibitions together with other painters in New York, Washington, Chicago, Baltimore. Her creative legacy covers over 150 paintings and over 30 painted ceramic vases. A. Laucevičiūtė managed well not only the brush – she wrote a number of texts on artistic subjects for the Lithuanian Boston Encyclopedia.